Hometips-tricksHow to Solve - Fill in the Blanks. How to Solve - Fill in the Blanks. Completions questions test your vocabulary skills as well as reading ability. These problems express a complete idea in a single sentence that can be understood without any additional information. 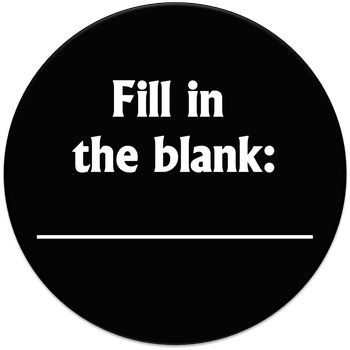 In such questions a sentence is given which contain one, two or three blanks which need to be filled up appropriately. Reactive Solving In our observation a critical mistake that student end up committing while solving questions of sentence completion is by trying to solve these question by going through the options and trying to fit options. Understanding the message and the tone of the author that is what he is trying to say (message) and how he is trying to say (tone). : While doing this student should focus on identifying the principal subject/idea of the sentence-about what or whom is the sentence trying to talk. Identify the logic structure of the sentence: While doing this, look for whether the sentence has one or more parts, i.e. whether it is simple sentence or complex, sentence having more than one part/s, which are connected to each other through a sentence connector. Understand the tone: Ask yourself question like whether the author is talking about the subject in a positive, natural or negative way. Also try to find the degree to which author is positive or negative about the subject. What are the ideas in the sentence: there may be a one idea for more than one ideas in a sentence. In such case, the key is to understand how the two ideas are connected to each other. Now you can think what answer should be there and then look at the auction and if you find that The world in your mind is the same given in the options or synonyms of that. And now you can rewrite the sentence with your answer choice and make your assessment about the smoothness of the flow of the idea.